The annual Kendall Francis Surgery Research Forum was held on the Friday 26th October 2018 at Sunshine Hospital, Western Health. It was a well attended event and it allowed researchers to present high quality projects that had been completed at Western Health. 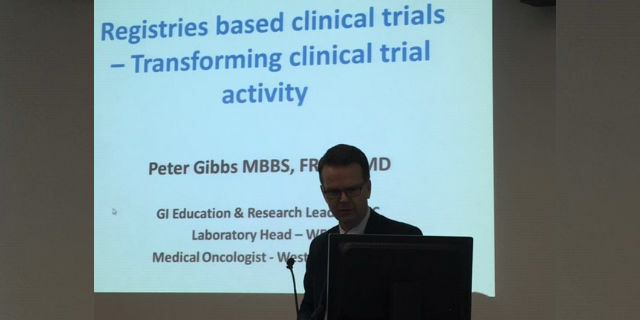 Professor Peter Gibbs, a medical oncologist who works both at Western Health and the Walter and Eliza Hall Institute delivered the Key Note speech on Registry Trials and how they can be developed within surgical disciplines. 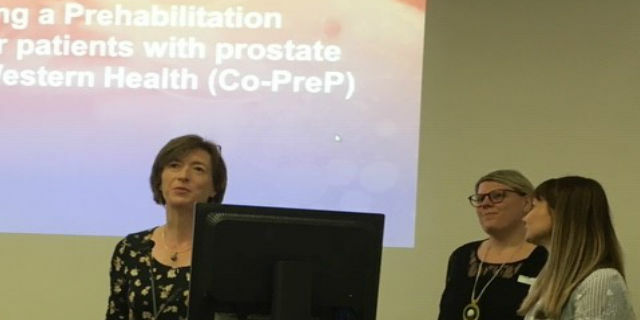 This was followed by several innovative research projects by medical staff and allied health across a wide spectrum of clinical specialties including colorectal surgery, orthopaedics, general surgery, urology, breast surgery and oncology. The presentations were all of high calibre and lead to some interesting discussions. There was very positive feedback following the session and it also allowed staff to network with members of other clinical teams to develop some future collaborative work.